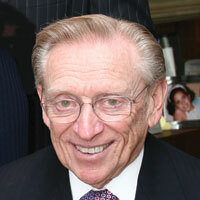 Larry Silverstein is a developer and real estate investor whose lifetime of work has produced countless contributions to the field of tall buildings. He has overseen the development and management of 3.7 million square meters of office, residential, hotel, and retail space over a decades-long career. Silverstein is probably best-known for his tenacity and steady hand on New York real estate during tumultuous times. In July 2001, he completed the largest real estate transaction in New York history when he signed a 99-year lease on the World Trade Center, only to see it destroyed in terrorist attacks six weeks later on September 11, 2001. Since then, Silverstein has worked diligently to rebuild the office components of the World Trade Center site, a $30 billion undertaking. Silverstein will discuss his efforts to rebuild Manhattan’s most prominent site following the tragedies on September 11, 2001.